A Plus Coach has been delivering the very best Limo Rental Services to clients throughout Massachusetts for years. Our Limo Rental Boston is the ideal way to travel while coming to and from the airport, traveling between cities, celebrating special occasions, or safely attending business meetings. Our professional and highly trained staff of chauffeurs are always ahead of schedule and ready to greet you at your pick-up point with poise and stellar customer service. 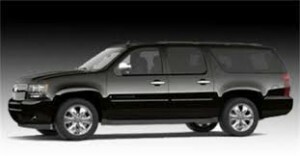 We deliver luxury limousine, town car and airport shuttle services throughout Massachusetts. There is never a need to worry when you’re in the capable hands of A Plus Coach.A Plus Coach’s Boston Limos are some of the smoothest rides ever. Our company guarantees the security and safety of every customer by offering safety training and background checks for our chauffeurs. A Plus Coach also offers liability insurance to our drivers. Sit back and enjoy the ride. You are sure to be safe while on the road in this fine automobile. Not only do we offer superior limo rental Boston, but we have a full fleet of luxury vehicles to suit any size party and occasion. Whether you are hosting potential clients, having a night out with friends or need transportation for a special occasion, A Plus Coach has got the vehicle for the event. Our Massachusetts Limousines are offered as part of our car service fleet. This extraordinary limo is the ultimate in luxury. Custom built by Lincoln and extended which allows enormous legroom and comfort for all of your passengers. It includes over-sized rear doors, allowing our clients to enter the vehicle with ease. Our Massachusetts Limos are also equipped with a wet bar, full control over music climate and entertainment options. Limo Rental Boston – Nothing screams class and style like our Massachusetts Limos. Climb in and enjoy a night of regal comfort and pampering. From the soft seating to stocked bar, you’ll feel like a millionaire in this classic ride. Mercedes Benz Sprinter Party Bus – This is one of A Plus Coach’s most unique vehicles. It definitely is the ‘leave your cares behind’ option. While deciding on what Boston Transportation Service you’d like to go with, you should keep in mind the size of your party. Our Mercedes Benz Sprinter is perfect for large parties and can comfortably accommodate 14 passengers, their luggage and then some. Here is the good part… This vehicle comes equipped with ground effect lighting, plush red and black leather interior, lighted dance floor, server station to entertain your guests, and two extra large TV’s with DVD player. This brand of luxury travel Massachusetts is for those that dream big and know how to enjoy themselves. Start your adventure with us at A Plus Coach today. Your dreams are a CLICK away. Lincoln Town Car Sedan – A Plus Coach’s affordable Boston Town Car is a true classic and is one of our most popular selections. This exceptional automobile is custom built by Lincoln and extended 6 inches, affording you an enormous amount of legroom. Outfitted in premium black leather and rear climate and stereo volume control consoles in the armrests, this is a great way to affordably get around Massachusetts and all her fine cities. The Lincoln Town Car is ideal for those that are seeking comfortable and affordable Massachusetts Transportation Services.